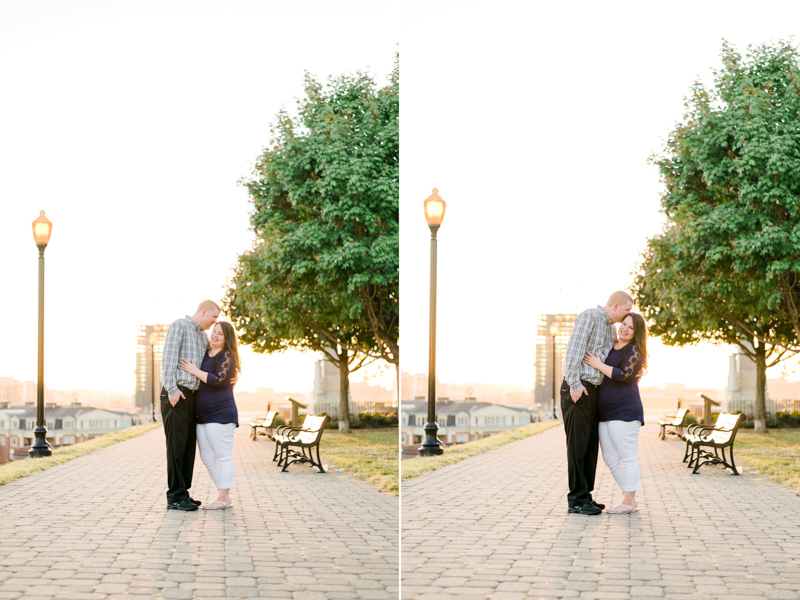 Early morning Baltimore sunrise sessions are some of my absolute favorite! 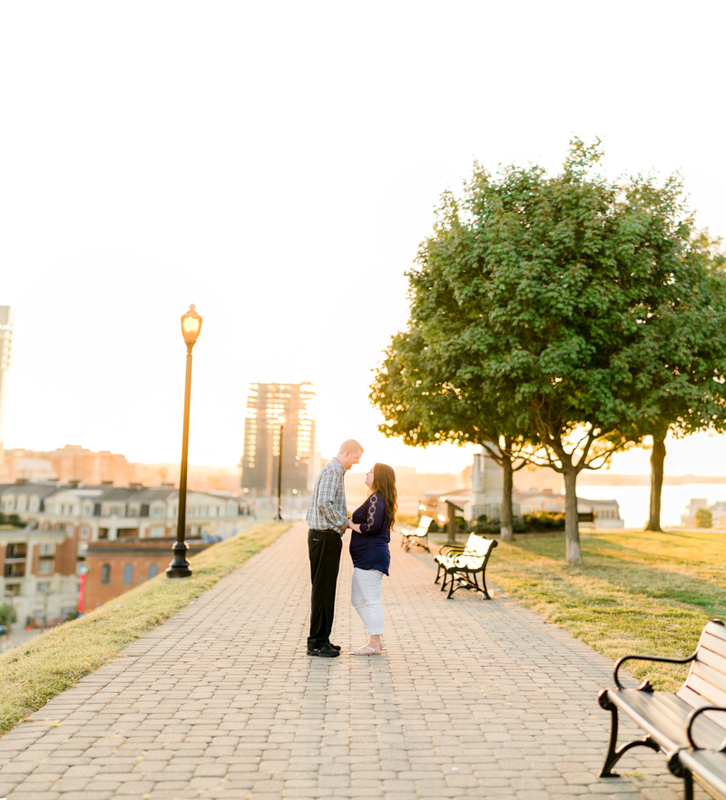 It's so calm and peaceful that you almost forget you are in the middle of the city. 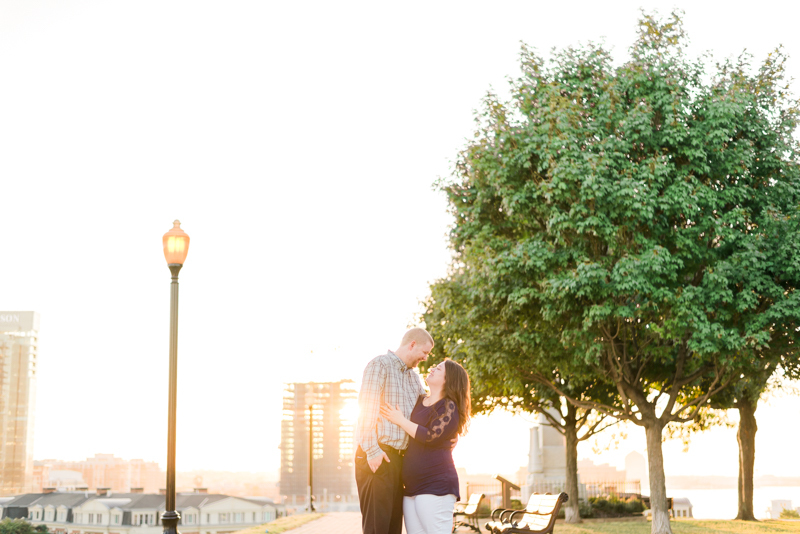 Seeing the sun poke through the construction off in the distance gave the city a nice industrial golden look that was the perfect start to a wonderful session. 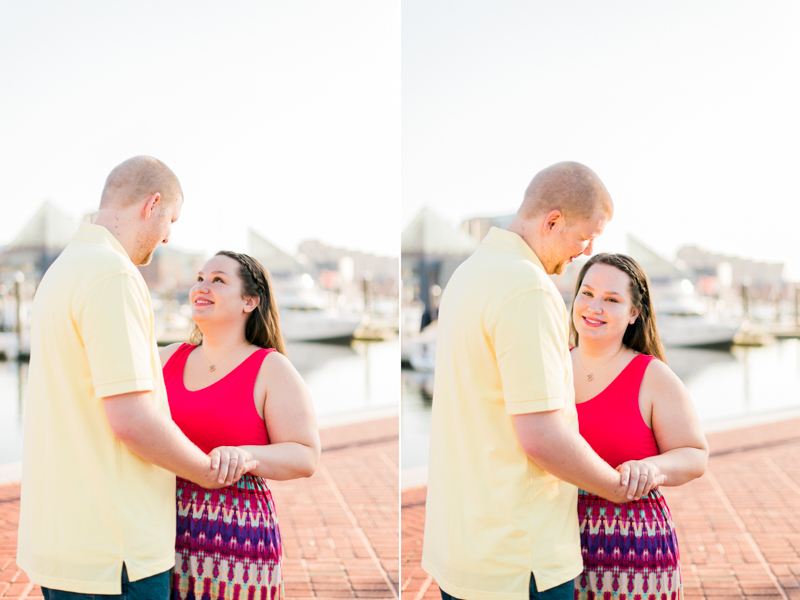 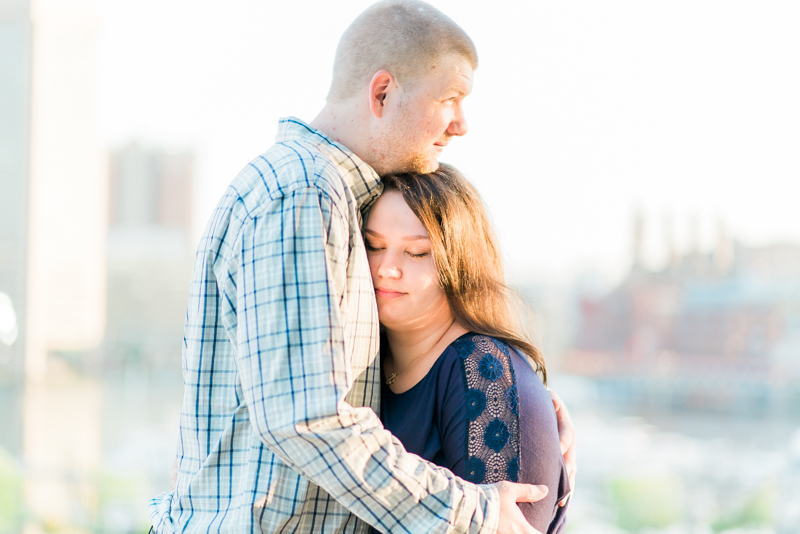 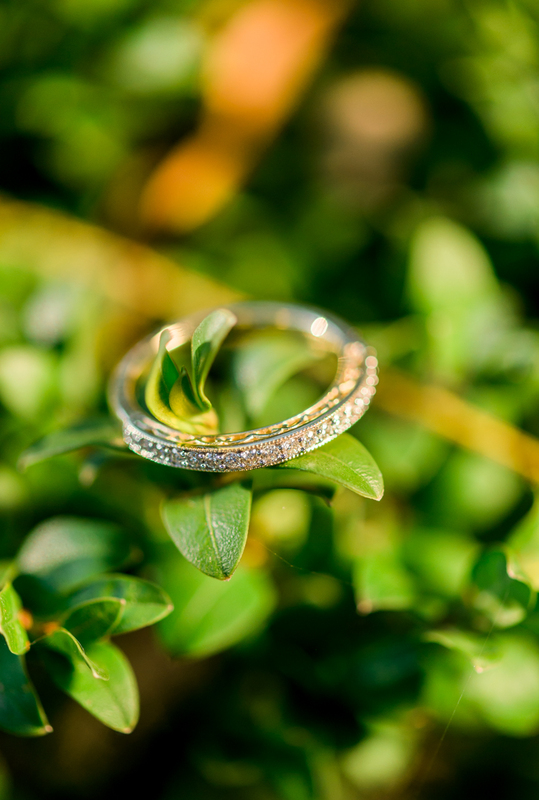 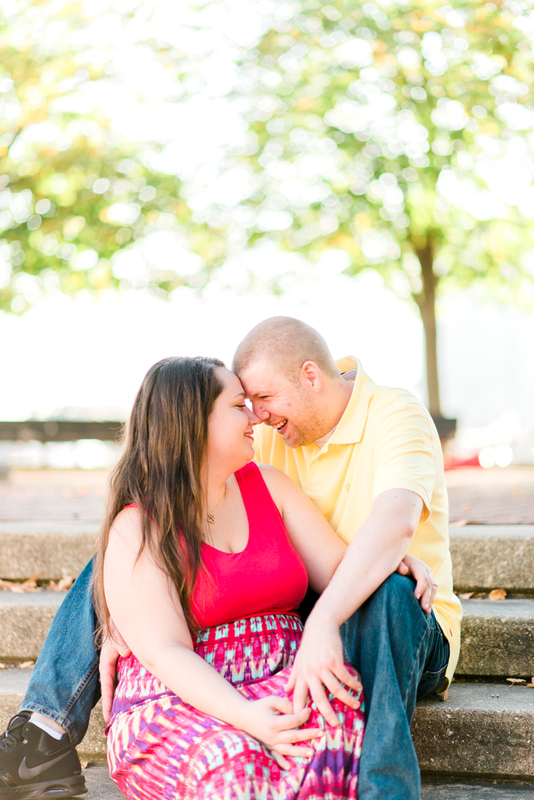 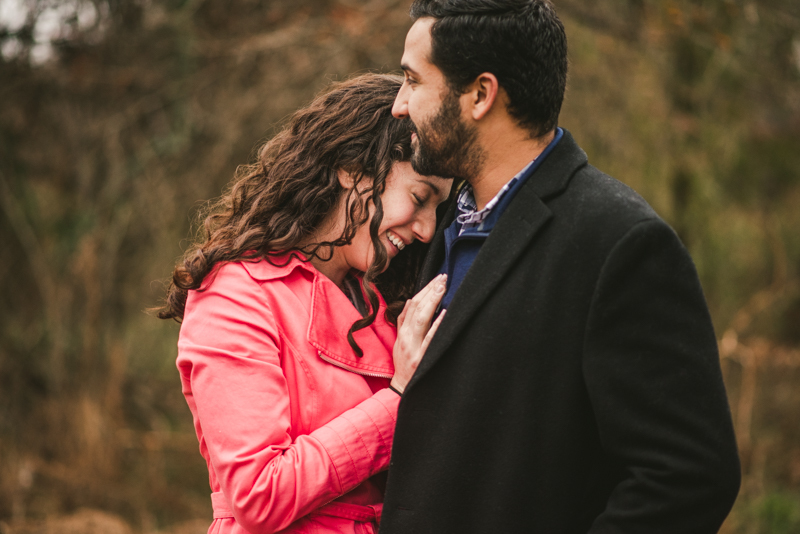 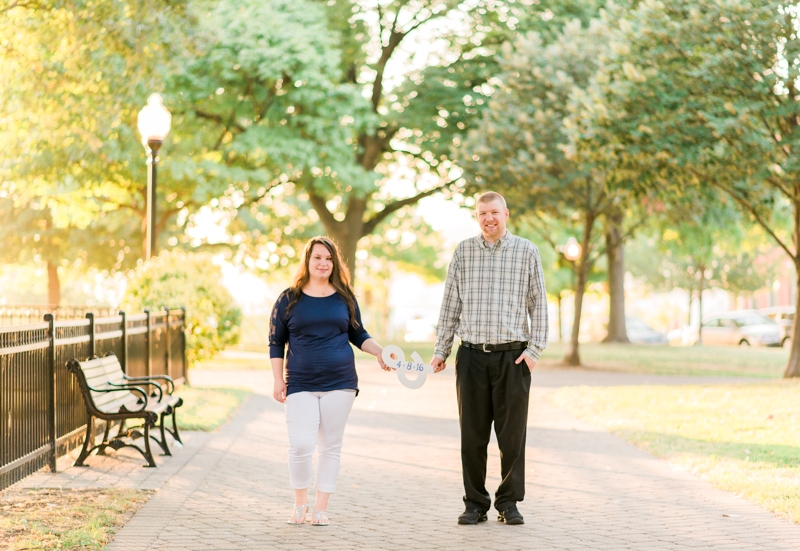 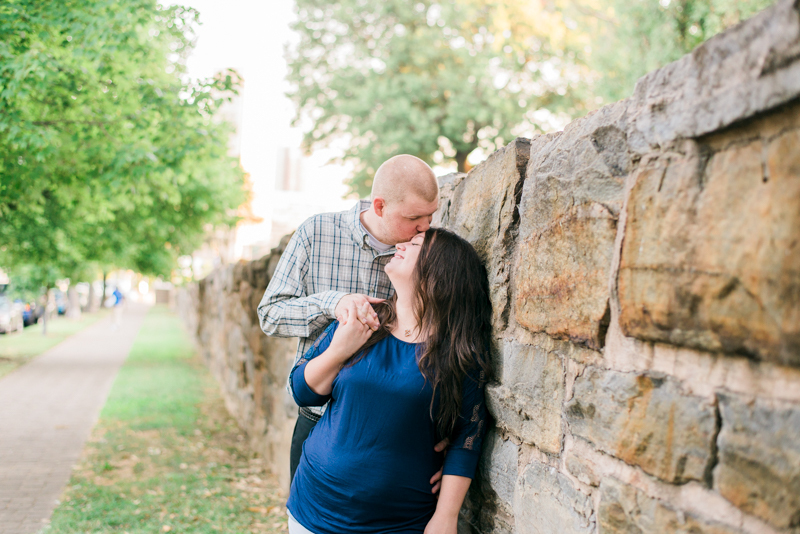 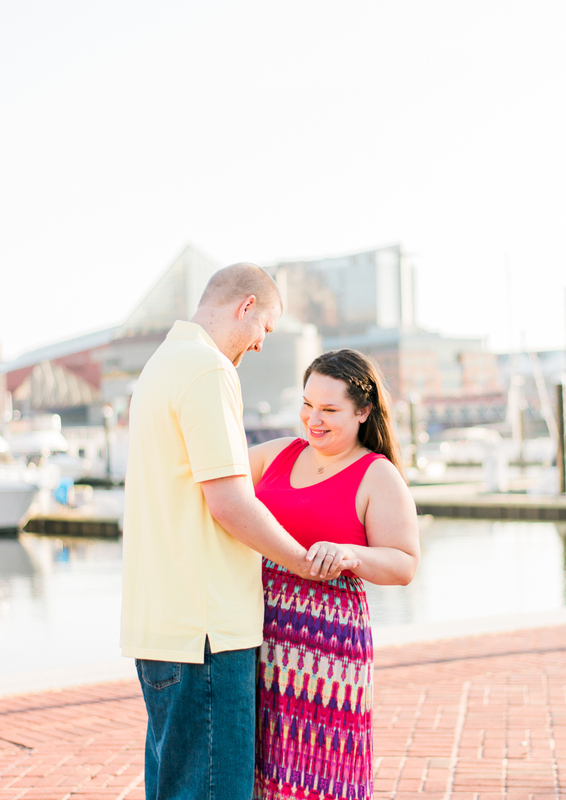 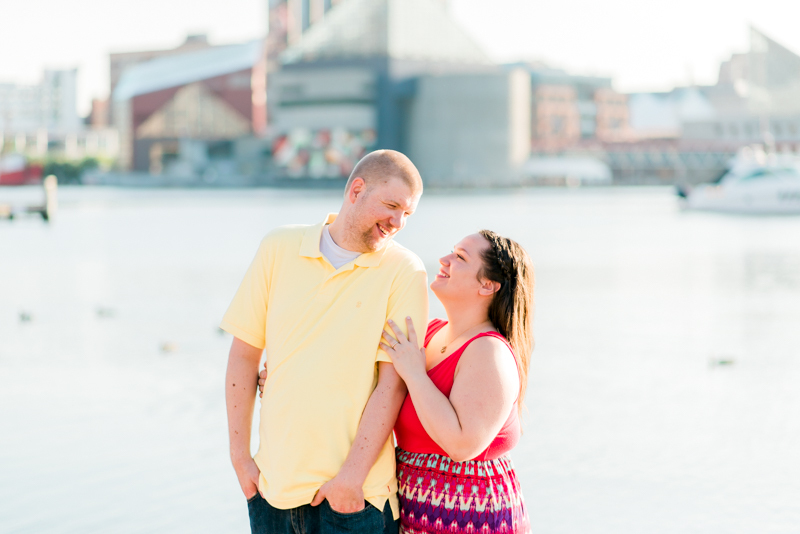 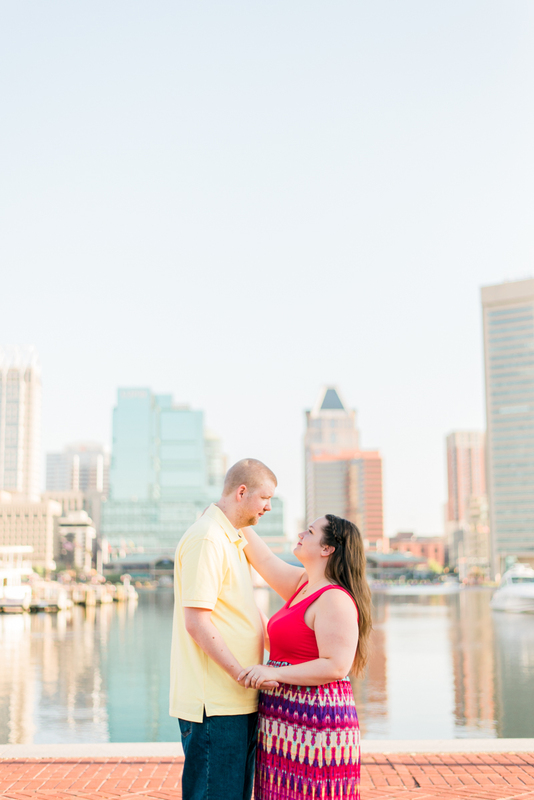 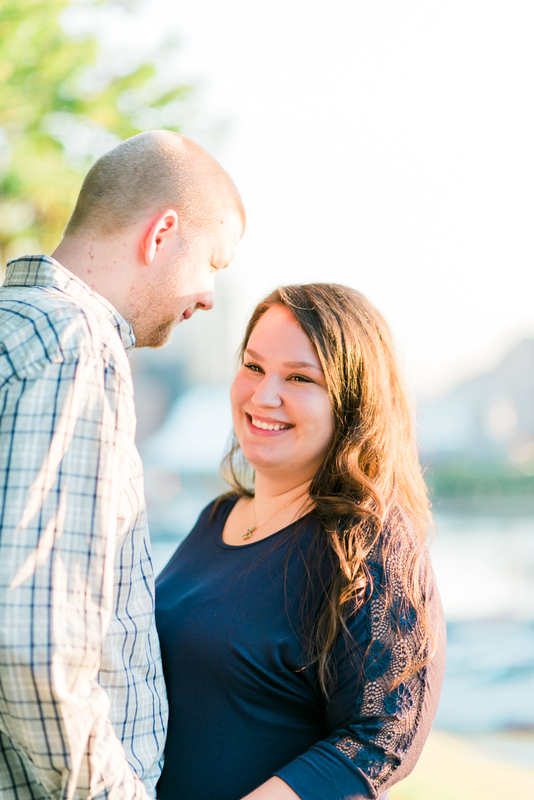 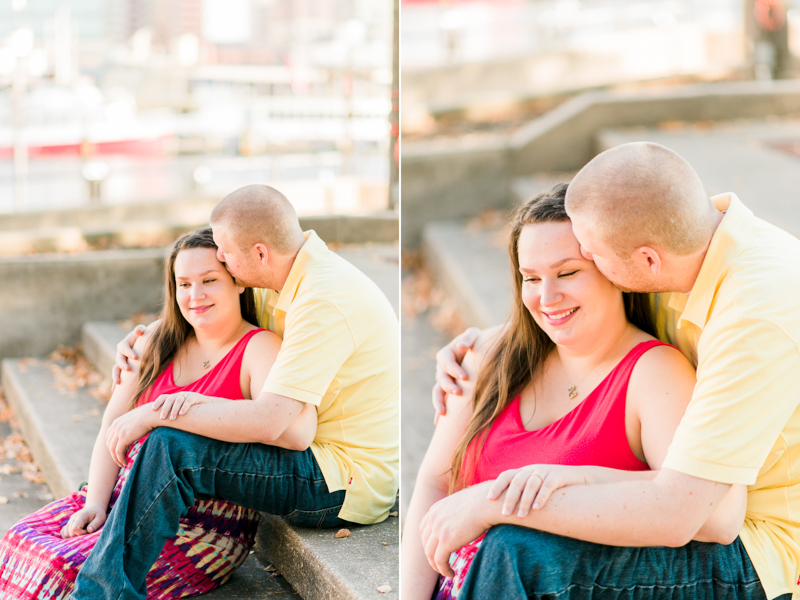 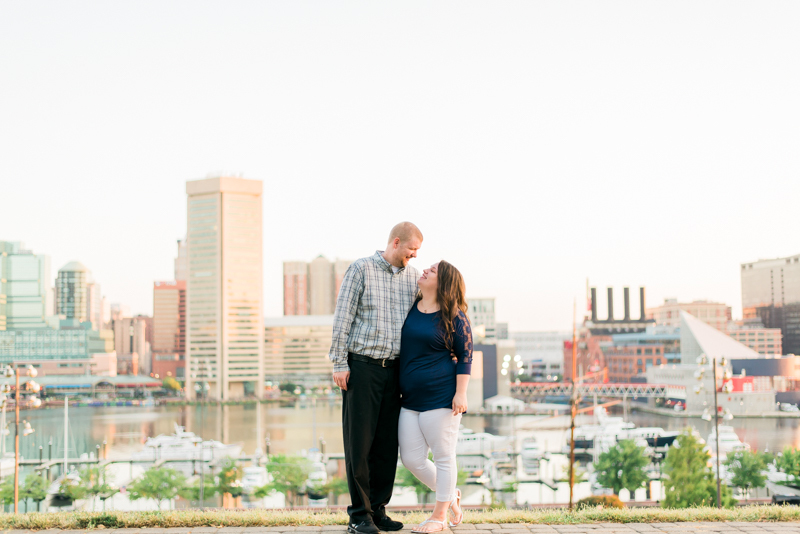 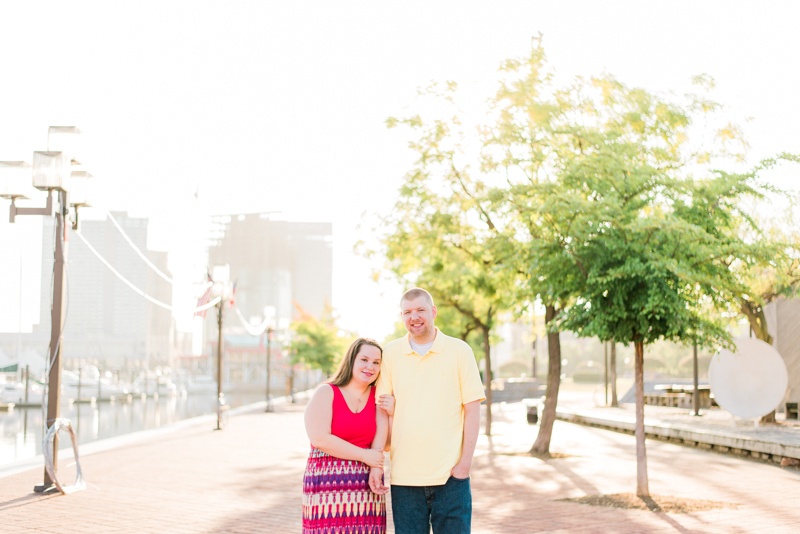 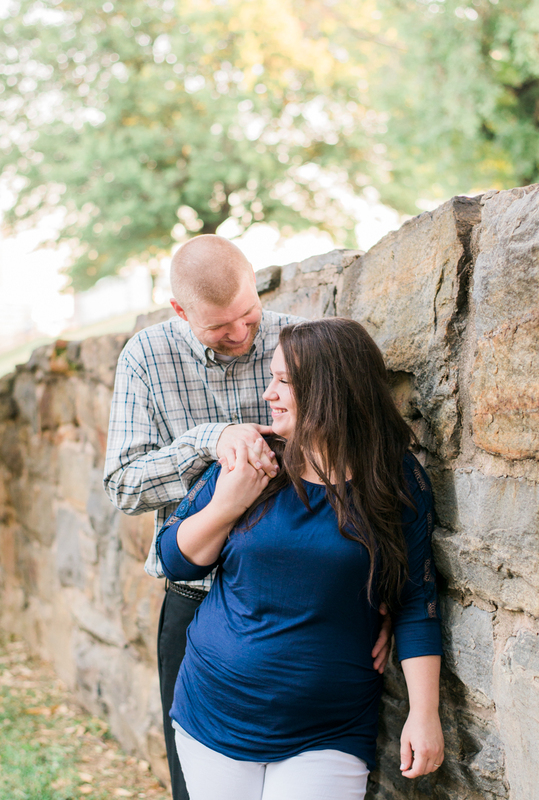 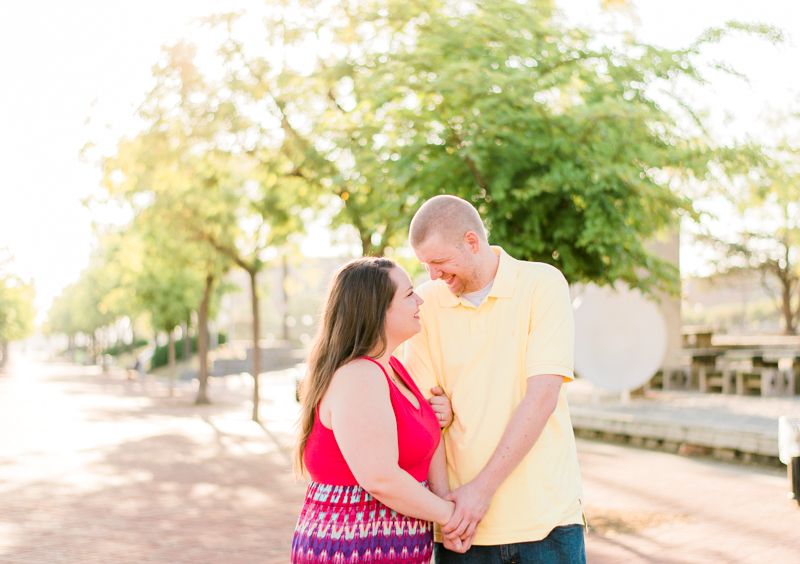 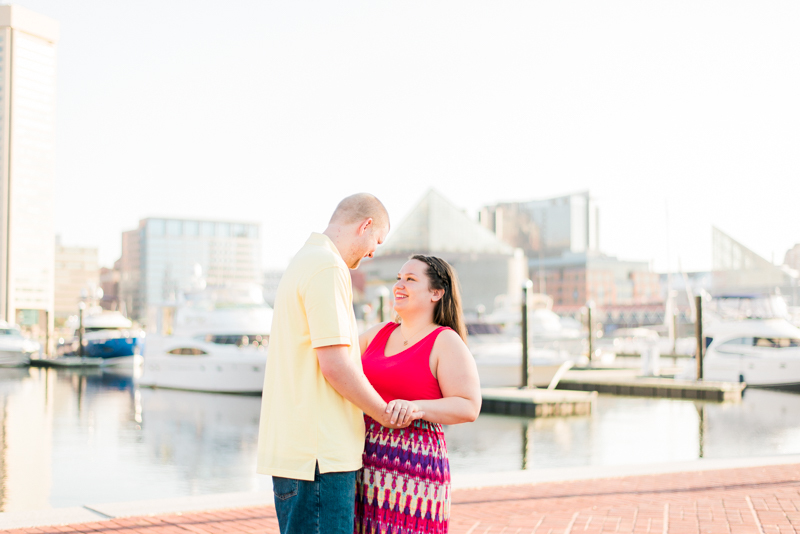 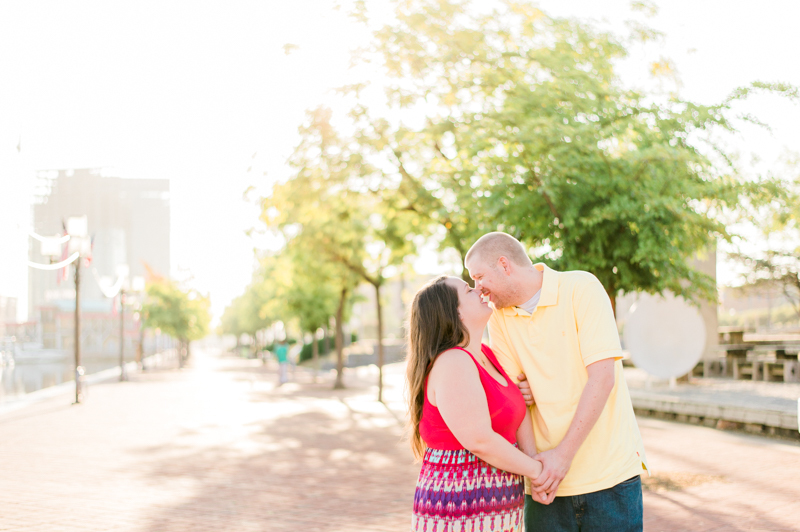 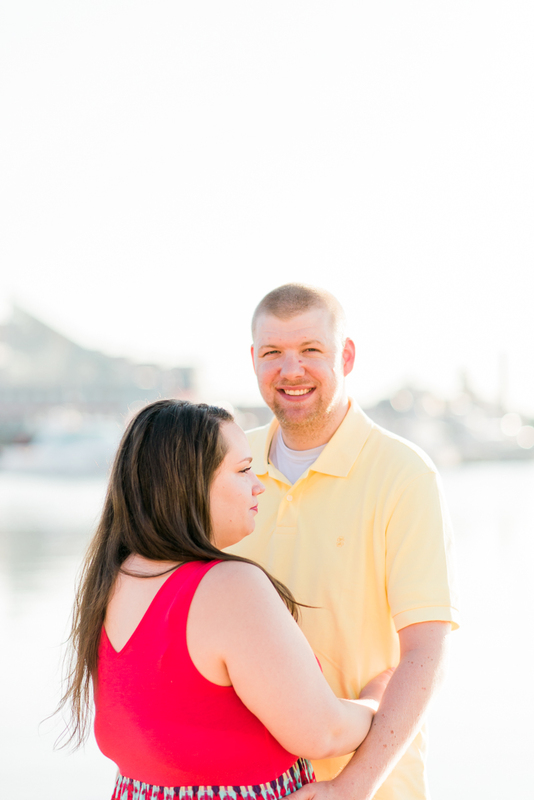 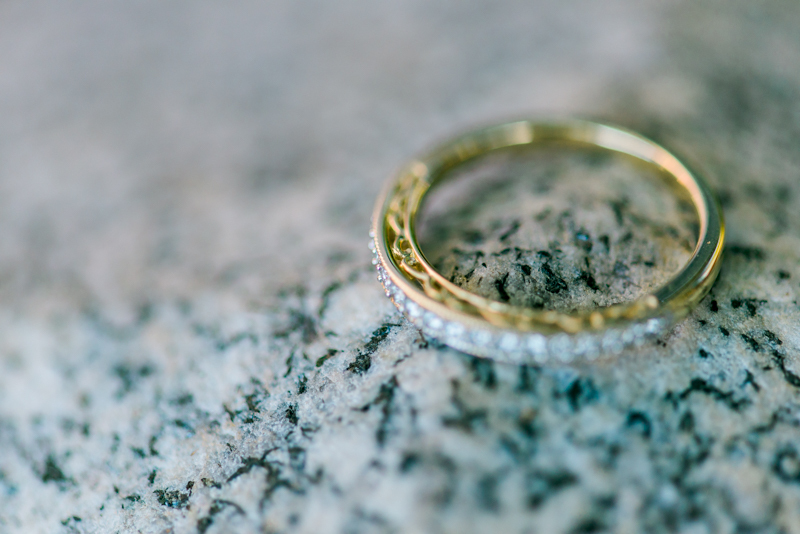 Sarah and Kevin chose Federal Hill Park and the Inner Harbor as the backdrops for their sweet engagement photos. 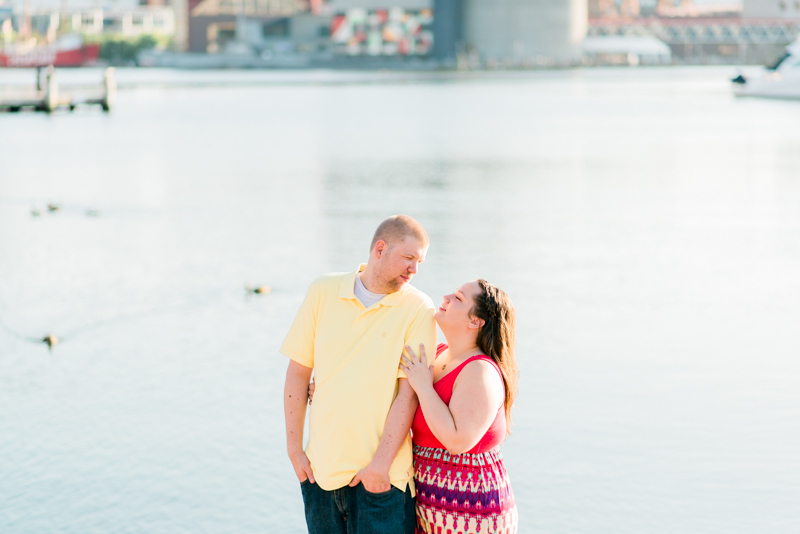 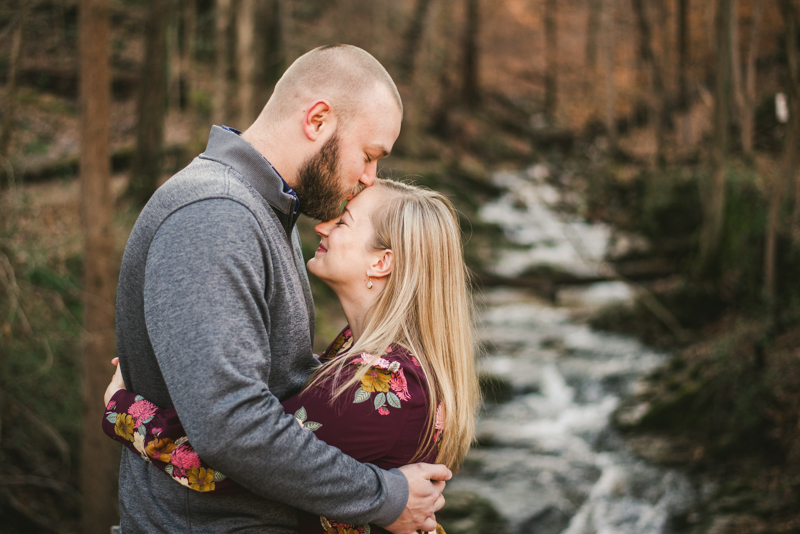 It was such a fun day with these two; even some of the ducks crowding the harbor wanted to get into a few shots :P. Seeing how much love Sarah and Kevin have in their eyes for one another made me that much more excited for their April wedding at the La Fontaine Bleue in Glen Burnie! 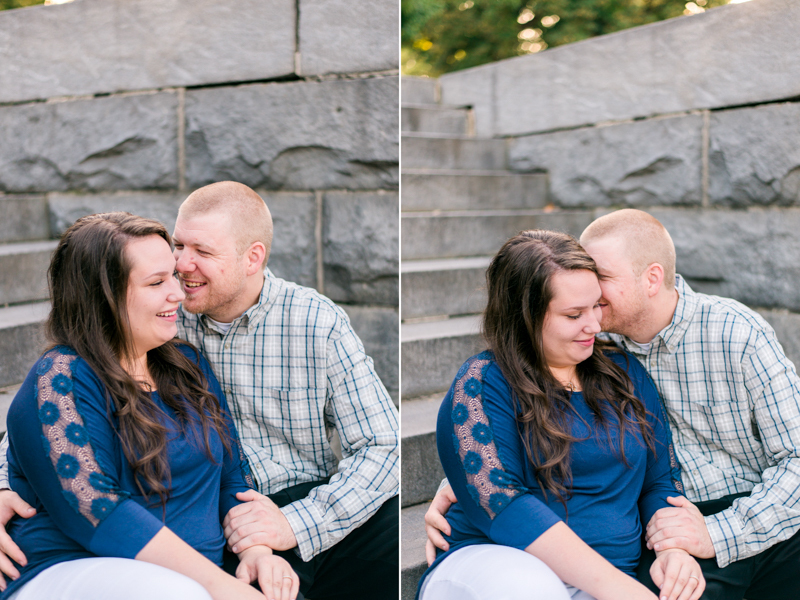 Ahh - I can't wait!